London is known for museums, sightseeing, nightlife, shopping, and historic sites. Your plan includes some of its best attractions: learn more about the world around you at Natural History Museum, admire the striking features of Westminster Abbey, explore the world behind art at British Museum, and take in the views from Tower Bridge. To see traveler tips, maps, and tourist information, go to the London itinerary maker. New York City, USA to London is an approximately 14.5-hour flight. The time zone changes from Eastern Standard Time (EST) to Greenwich Mean Time (GMT), which is usually a 5 hour difference. Traveling from New York City in September, things will get little chillier in London: highs are around 67°F and lows about 56°F. Finish up your sightseeing early on the 14th (Thu) so you can travel to Lisbon. 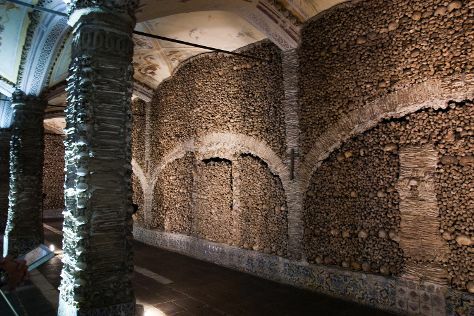 Discover out-of-the-way places like Capela dos Ossos and Obidos Village. Get out of town with these interesting Lisbon side-trips: Evora (Sao Joao Evangelista Church, Templo Romano de Evora (Templo de Diana), & more). There's lots more to do: meet the residents at Lisbon Oceanarium, admire the striking features of Jeronimos Monastery, contemplate the long history of Castelo de S. Jorge, and appreciate the extensive heritage of Belém Tower. For ratings, maps, photos, and other tourist information, you can read our Lisbon itinerary planner. Traveling by combination of train and flight from London to Lisbon takes 5.5 hours. Alternatively, you can do a combination of car and ferry; or do a combination of train and bus. Expect somewhat warmer temperatures when traveling from London in September; daily highs in Lisbon reach 80°F and lows reach 63°F. Finish up your sightseeing early on the 19th (Tue) so you can go by car to Cascais. Start off your visit on the 19th (Tue): take a stroll through Cascais Historic Center, explore the striking landscape at Boca do Inferno, and then kick back and relax at Tamariz Beach. 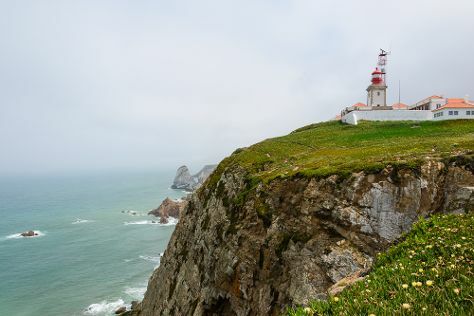 Keep things going the next day: identify plant and animal life at Cabo da Roca, then kick back and relax at Guincho Beach, and then enjoy the sand and surf at Cresmina Beach. For ratings, other places to visit, reviews, and tourist information, read our Cascais holiday planner. Cascais is just a short distance from Lisbon. In September, daily temperatures in Cascais can reach 80°F, while at night they dip to 63°F. On the 21st (Thu), you'll travel back home.